The Electronic Frontier Foundation is back in Austin, TX for South by Southwest (SXSW)! EFF is the world's foremost defender of online civil liberties, so it's only natural that we have boots on the ground at perhaps the most popular showcase of Internet innovation ever. For 23 years, EFF has been uniquely suited to protecting your digital freedom by blending the expertise of lawyers, activists, technologists, and policy analysts to fight for the users. Whether advocating for software patent reform, defending location privacy, uncovering information about domestic drones, or joining forces with international activists to protect free expression, EFF has your back as we continue into the next stage of technology. 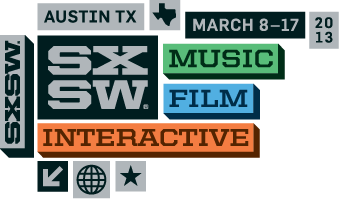 Check out our SXSW Interactive and Music panels below. We encourage you to learn more at EFF's Trade Show booth #340. You can even become an EFF member on the spot and get some sweet swag with your tax-deductible donation. We also invite you to raise a glass to digital rights at our Hack Digital Freedom: SXSW gathering with EFF-Austin and iSEC Partners. Space is limited. We hope to see you in Austin! This session will discuss location data as the ultimate biometric identifier. The tracking devices we carry around in our pockets (our smart phones) send out location data every time they search for a signal. Law enforcement routinely requests this data - sending out over 1.3 million demands to providers last year. This data can not only reveal where we go and what we do in our lives—it can also define and identify us. The session will cover the legal and technical aspects of location information as biometric, what this means for privacy and civil liberties, and what you can do about it. Speakers: Jeff Jonas and EFF's Jennifer Lynch. Make no mistake, privacy is not dead. If it was, privacy snafus wouldn’t still be making headlines. Failing to build in privacy protections is the quickest way to put your company smack in the middle of a PR disaster. If you messed up, we’re going to have something to say and we don’t do kid gloves. The good news is that so many of the privacy-related PR disasters could have been prevented with some simple advance planning. Hear from two of the top people that tech reporters call for comment when there’s a new product that has everyone talking. They will tell you how to plan ahead to avoid privacy & PR nightmares, saving your company time and money while enhancing reputation and building customer loyalty and trust. Speakers: Rebecca Farmer and EFF's Rebecca Jeschke. Documentaries have never been more influential. So no surprise that they are increasingly targeted-- both before and after their making-- by subjects who don't like their revelations. Whether you’re facing big corporations (Crude, Bananas! ), government agencies (Gasland, The Oath), or the bigots in your webisode audience (Black Folk Don’t, Awkward Black Girl, Tropes v Women), it’s time to learn how to deal. Learn from experts who've dealt with it! Speakers: Patricia Aufderheide and EFF's Parker Higgins. This panel will offer perspectives on how technology companies can be proactive in ensuring equal access to communications technology for all of the world's citizens. Speakers: Ahmed Ghappour, Sahar Sabet, and EFF's Jillian York and Trevor Timm. RSVP Required - Innovation continues to skyrocket in the mobile space, but many developers don't realize that they're creating apps against a complex -- and often murky -- legal backdrop. This presentation will identify and discuss some of the key legal issues mobile developers should know about. We'll discuss the laws that apply to activities like jailbreaking devices, reverse engineering code, transmitting and storing user information, and intercepting communications. We'll also talk about practical steps you can take to reduce your risk so that you can go about your work with less potential for legal trouble. Presented by Charles Mudd Jr. and EFF's Marcia Hofmann. The fight over SOPA/PIPA was a Washington watershed: 15 million Americans contacted Congress and stopped laws that would have harmed online culture and innovation. Learn how to transform this victory into a strong, self-sustaining movement to promote and defend the Internet. Speakers: Michael Petricone, Laurent Crenshaw, Jayme White, and EFF's Julie Samuels.